We’re so excited, we simply have to share our good news! 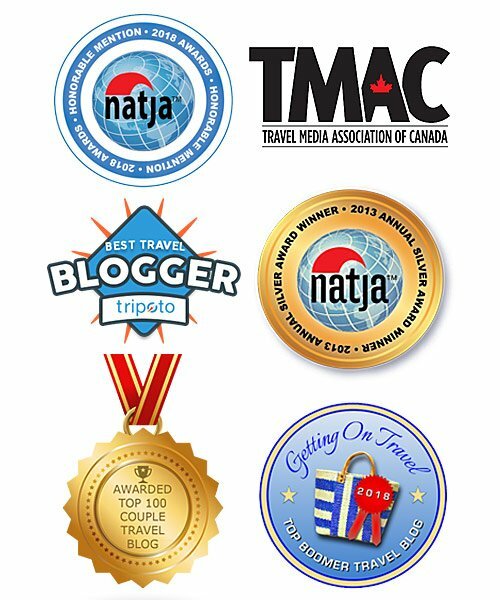 Two of our travel magazine articles just won 1st and 2nd Place in the 2015 Travel Media Association of Canada travel writing awards. 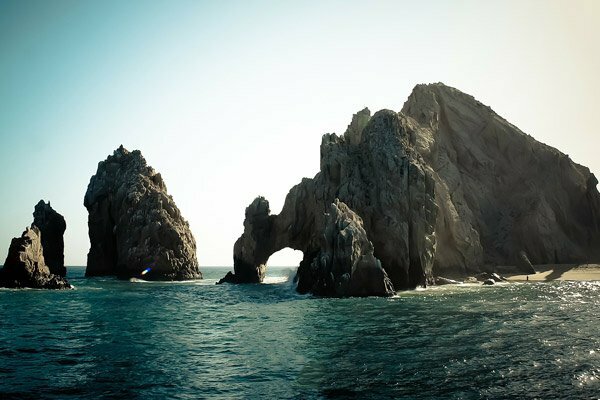 The Travel Media Association of Canada (TMAC) is Canada’s leading organization for travel media professionals, bringing together Canadian travel writers, bloggers, photographers, videographers and tourism industry experts. 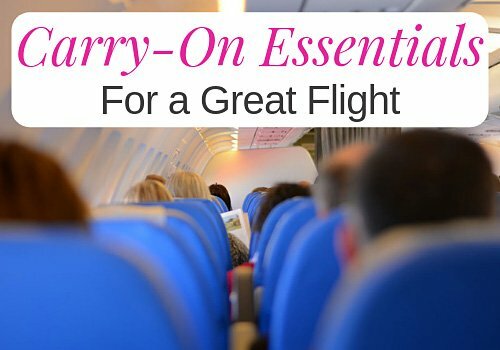 Its goal is to foster excellence in travel reporting. We’re members of TMAC. 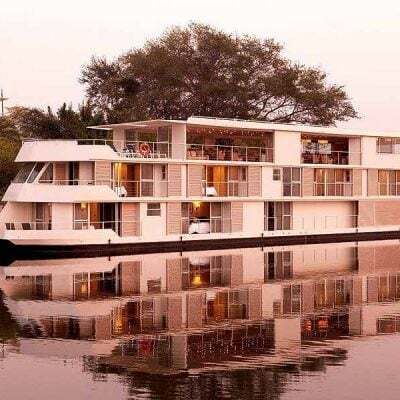 Janice is also a member of the Society of American Travel Writers (SATW) and the North American Travel Journalists Association (NATJA). 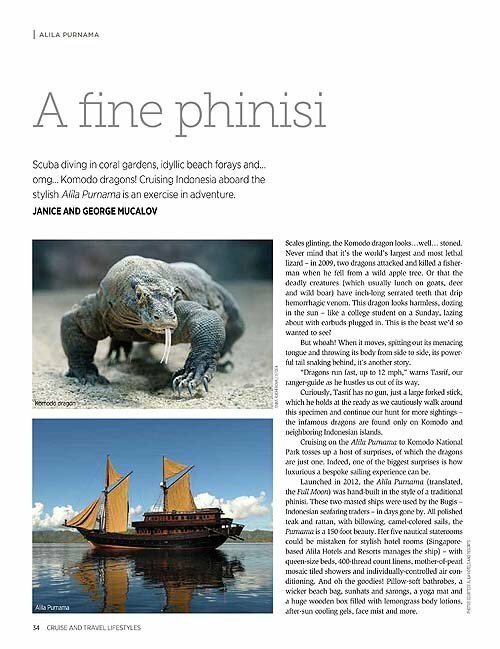 “A Fine Phinisi: the Alila Purnama,” published in Cruise & Travel Lifestyle Magazine. 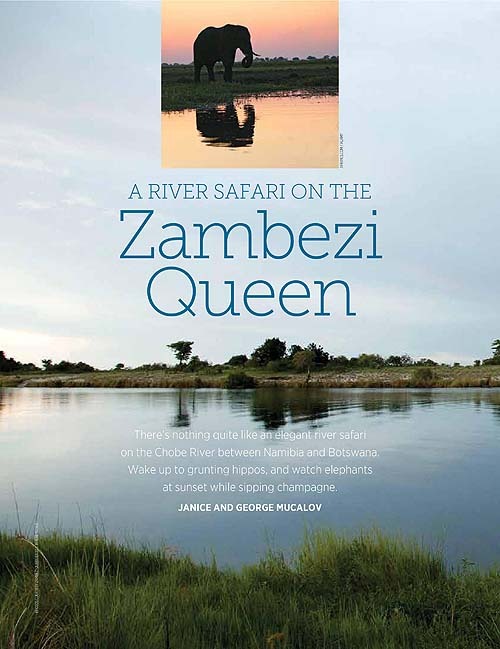 “A River Safari on the Zambezi Queen,” published in Cruise & Travel Lifestyle magazine. Needless to say, we’re thrilled with these two travel writing awards! Thanks TMAC! See the complete list of award winners in this TMAC press release. Congratulations! Both your prose and your photos are beyond beautiful. So well-deserved and I’m so happy for you. Thanks so much for your congrats! Hope you have a great summer :-). 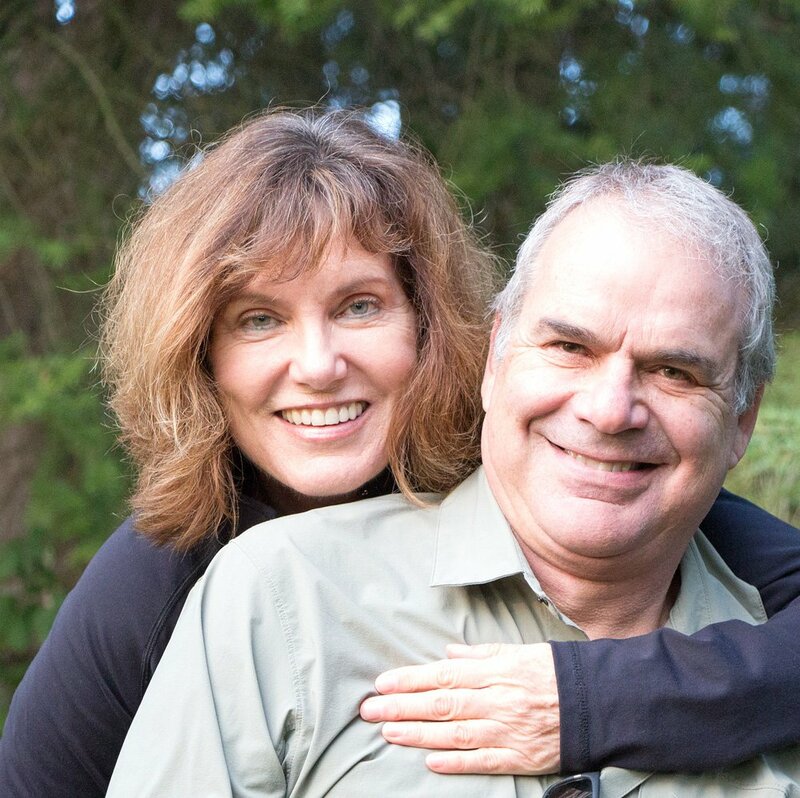 Congratulations, Janice and George. A well deserved honour! Thanks so much! We appreciate the congrats :-). Congratulations, George and Janice. You did well!